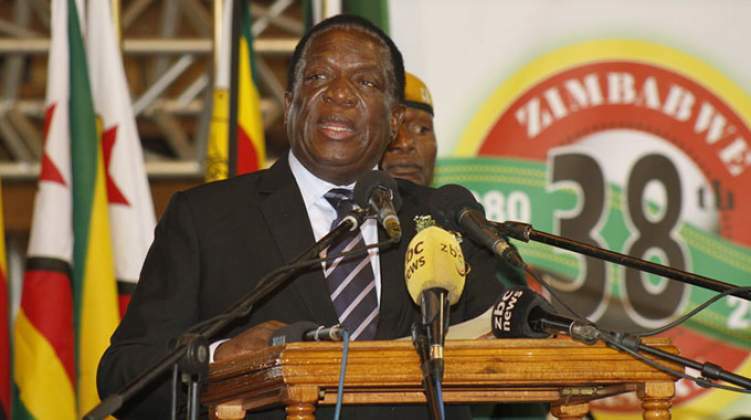 President Emmerson Mnangagwa's quest to have the economic sanctions imposed on the country by the West lifted is falling by the wayside every day because of his government's actions on the ground. Mnangagwa and his government are fully aware of what is required of them to have the sanctions lifted, chiefly among them the respect for human rights. Apart from the respect for human rights, there is also need for government to open up democratic space, let freedoms flourish. Interestingly, since coming into power Mnangagwa and his government have been doing exactly the opposite from what is expected; abusing citizens by unleashing soldiers on innocent and unarmed civilians. The soldiers have been terrorising civilians by beating them up since Monday which has resulted in several causalities. Reports by the Zimbabwe Association of Doctors for Human Rights' nationwide network say the sector has attended to 172 cases, of which 68 were gunshot wounds with the affected individuals sustaining severe injuries which required urgent surgery in most cases. The government's recent shutdown of the Internet and all social media platforms might scupper Mnangagwa's re-engagements efforts. In curtailing people's communication, government has gone against the spirit of constitutionalism. With the Zimbabwe sanctions possibly being reviewed this year in March, the aforementioned abuses will still be fresh in the West's minds and they will be used against us. Equally shocking was yesterday's deportation of two South African journalists from E-TV; Aldrin Smpear and Linge Ndabambi. The deportation of the foreign journalists comes on the backdrop of government's second directive to completely shut down the Internet in response to widespread citizens' demonstrations. We hope this deportation of foreign journalists is not the beginning of a purge on all scribes working in Zimbabwe. Very few have forgotten how practising journalists were harassed during former president Robert Mugabe's reign. We had thought Mnangagwa's government, which had allowed foreign journalists to work in the country, would keep its word to protect visiting reporters. As of now we pray that sense prevails in Mnangagwa's government because the blunders occurring are not helping our cause at all; instead they are spoiling the party!